Previously most gap years are taken between high school and university, and the time could be spent on travel, work, volunteering, internship, etc. or any combination of these. 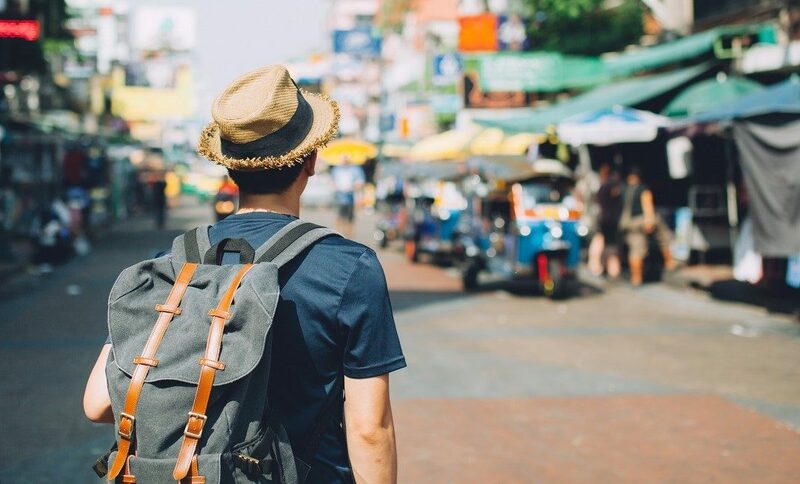 Nowadays, gap years are taken by people of different ages, from undergraduates to graduate students, young working adults to mid-career executives, even people close to retirement. Harvard University believes that Gap Year is so beneficial to young people that they have made it an official policy to encourage all students accepted by them to do a Gap Year before starting classes. Below is a penetrating article (excerpts). The original and updated article can be found on Harvard’s website. College admissions officers, especially those who admitted the parents of today’s applicants, have an unusual vantage point from which to observe changes from one generation to the next. Many of us are concerned that the pressures on today’s students seem far more intense than those placed on previous generations. College admission – the chance to position oneself for “success” through the acquisition of the “right” college degree – looms large for increasing numbers of students. Particularly because selective colleges are perceived to be part of the problem, we want to do everything possible to help the students we enroll make the most of their opportunities, avoiding the much-reported “burnout” phenomenon that can keep them from reaching their full potential. Of course, the quest for college admission is only one aspect of a much larger syndrome driving many students today. Stories about the latest twenty-something multimillionaires, the astronomical salaries for athletes and pop-music stars, and the often staggering compensation packages for CEOs only stimulate the frenzied search for the brass ring. More than ever, students (and their parents) seek to emulate those who win the “top prizes” and the accompanying disproportionate rewards. Consultants are paid thousands of dollars to prepare toddlers for the “all- important” interview and observed play-time that will determine admission to the “right” pre-kindergarten, kindergarten, or primary school—thereby presumably ensuring admission to the right high school, college, graduate school, and so on. The consultant will teach the child to maintain eye contact in the interview and to demonstrate both leadership and sharing during the observed play sequence. The competition for admission to some of the pre-k, kindergarten, and grammar schools can be intense—statistically more difficult (with lower admission rates) than Harvard. By high school, the pressure intensifies. Students start to specialize in one activity even to the exclusion of other pursuits. Athletes, dancers, musicians and others begin to define themselves by their chosen activity as they try to perfect their new-found talents and identities. The American Academy of Pediatrics has warned of possible physical and psychological damage that can result from specializing in a sport prematurely. For every success story, there are countless other less happy results. Some students participate in programs that take up as much time as school. Professional college counselors (either independent or school-based) appear on the scene early, sometimes in middle school, to begin to structure students’ academic and extracurricular profiles for entrance to the “right” college. Such services may command thousands of dollars, and assistance in preparing applications ranges from appropriate to plagiaristic. Videotaped mock college interviews are features of some packages, as are guided tours of colleges. An array of services start in ninth grade (“or seventh or eighth grade for no extra charge”) for fees of over $30,000. Such services can add to, rather than alleviate, the stress of the normal expectations of school, community, and family life. Faced with the fast pace of growing up today, some students are clearly distressed, engaging in binge drinking and other self-destructive behaviors. Counseling services of secondary schools and colleges have expanded in response to greatly increased demand. It is common to encounter even the most successful students, who have won all the “prizes,” stepping back and wondering if it was all worth it. Professionals in their thirties and forties – physicians, lawyers, academics, business people and others – sometimes give the impression that they are dazed survivors of some bewildering life-long boot-camp. Some say they ended up in their profession because of someone else’s expectations, or that they simply drifted into it without pausing to think whether they really loved their work. Often they say they missed their youth entirely, never living in the present, always pursuing some ill-defined future goal. What can we do to help? Fortunately this young fast-track generation itself offers ideas that can reduce stress and prevent burnout. In college application essays and interviews, in conversations and counseling sessions with current college students, and in discussions with alumni/ae, many current students perceive the value of taking time out. Such a “time out” can take many forms. It can be very brief or last for a year or more. It can be structured or unstructured, and directed toward career, academic or purely personal pursuits. Most fundamentally, it is a time to step back and reflect, to gain perspective on personal values and goals, or to gain needed life experience in a setting separate from and independent of one’s accustomed pressures and expectations. Perhaps the best way of all to get the full benefit of a “time-off” is to postpone entrance to college for a year. For more than four decades, Harvard has recommended this option, indeed proposing it in the letter of admission. Now more than one hundred students defer college until the next year. The results have been uniformly positive. Harvard’s daily student newspaper, The Crimson, reported (5/19/2000) that students who had taken a year off found the experience “so valuable that they would advise all Harvard students to consider it.” During her year off, the student quoted above toured South America with an ice-skating company and later took a trip to Russia. Another interviewed in the article worked with a growing e-commerce company (in which the staff grew from 10 to 100 during the year) and backpacked around Europe for six months. Members of one recent class participated in the following activities, and more, in the interim year: drama, figure skating, health-care, archeological exploration, kibbutz life, language study, mineralogical research, missionary work, music, non-profit groups, child welfare programs, political campaigns, rebuilding schools, special needs volunteering, sports, steel drumming, storytelling, swing dance, university courses, and writing—to name some chosen at random. They took their interim year in the following locales: Belize, Brazil, China, Costa Rica, Denmark, Ecuador, France, Germany, Guatemala, Honduras, India, Ireland, Israel, Italy, Mongolia, Nepal, Philippines, Scandinavia, Scotland, Spain, Switzerland, Taiwan, Thailand, Uruguay, United States and Zimbabwe. Many students divide their year into several segments of work, travel, or study. Not all can afford to travel or to take part in exotic activities. A number have served in the military or other national or international service programs. Some remain at home, working, taking part-time courses, interning, and still finding the time to read books they have never had time to fit into their schedules or begin to write the “great American novel.” Others have been able to forge closer ties with parents or grandparents from whom they may have drifted away during the hectic pace of the high-school years. Students taking a year off prior to Harvard are doing what students from the U.K. do with their so-called “gap year.” Other countries have mandatory military service for varying periods of time. Regardless of why they took the year off or what they did, students are effusive in their praise. Many speak of their year away as a “life-altering” experience or a “turning point,” and most feel that its full value can never be measured and will pay dividends the rest of their lives. Many come to college with new visions of their academic plans, their extracurricular pursuits, the intangibles they hoped to gain in college, and the career possibilities they observed in their year away. Virtually all would do it again. Nevertheless, taking time off can be a daunting prospect for students and their parents. Students often want to follow friends on safer and more familiar paths. Parents worry that their sons and daughters will be sidetracked from college, and may never enroll. Both fear that taking time off can cause students to “fall behind” or lose their study skills irrevocably. That fear is rarely justified. High school counselors, college administrators, and others who work with students taking time off can help with reassurance that the benefits far outweigh the risks. It is important to remember that access to higher education around the world is at present limited to a lucky few. Those fortunate enough to enjoy such a privilege have a responsibility to use their talents to provide expanded opportunities for future generations. The fact remains that there is something very different about growing up today. Parents and students alike profit from redefining success as fulfillment of the student’s own aims, even those yet to be discovered. Burnout is an inevitable result of trying to live up to alien goals. Time out can promote discovery of one’s own passions.